The convenience of just taking pictures on the go with my iPhone opens another door for me to express myself and to capture meaningful moments in my life. 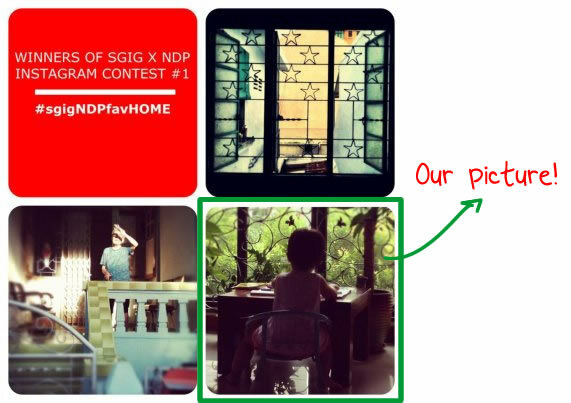 Out of fun, I participated in a photo contest organized by Singapore Instagram (SGIG) and National Day Parade (NDP), featuring our favourite spot at home (#sgigNDPfavHOME). 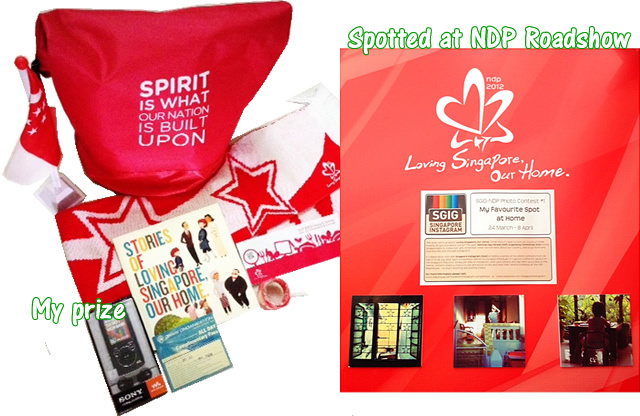 SGIG is holding a series of five photo contests in collaboration with NDP 2012. I submitted a few entries and one week after the closing of the contest, I received a surprise message that I came in 3rd among 300+ entries. Delighted!